I am a big fan off eggs, I could eat them daily. I know some people get sick of them but there are so many different ways to make them and change them up that I have a lot of fun doing so. These Cheesesteak Scrambled Eggs are quick and easy and everyone was trying to steal them from me when I made them. 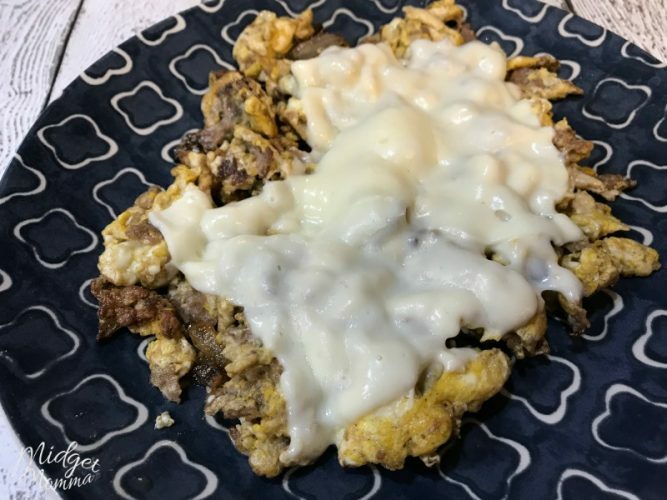 I created these Cheesesteak Scrambled Eggs when I found a few lonely Steak Umms in the freezer. Tom buys them every so often, makes himself a steak sandwich and then complains about how he doesn’t like them and wants thicker steaks. I am not sure if he will ever learn to just grab the thick steak and slice it from the meat counter. It has been 13 years of marriage and it has been going on since we got married. Anywho, they came in handy when making these Cheesesteak Scrambled Eggs. So I am going to skip giving him the normal grief on buying them. HAHA. 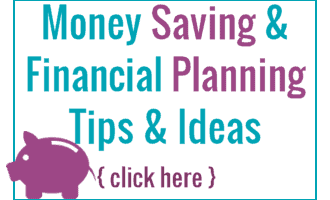 If you are following the Keto diet, find more amazing Keto recipes here. On Medium heat melt your butter. Break apart the Steak Umm into pieces. Once the butter is melted add in the diced onion and the Steak Umms. Cook until onions are translucent and meat is cooked. Crack 2 eggs in and scramble them. Continue stirring the eggs and cook them until they are cooked. Push them all into the middle of the pan and add 2 pieces of white American cheese to melt. Remove from pan and enjoy! Looking for More Keto Friendly Recipes? Check these out! Subscribe to get our latest recipes right in your inbox every time we post a new one! that’s one of favorite scrambles.. love it.. It is an amazing scramble!! I am glad you love it!